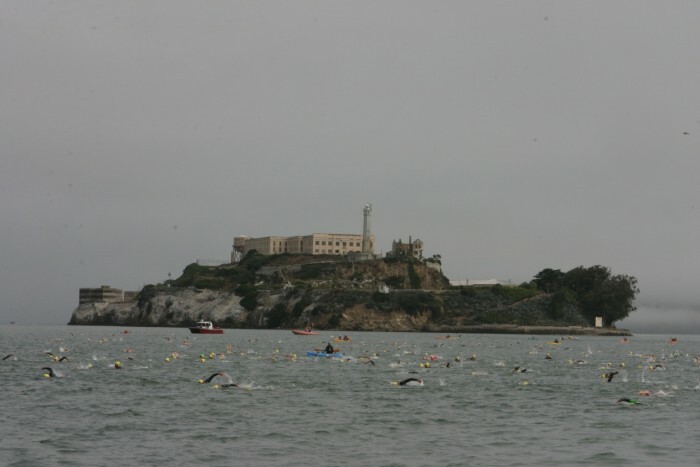 Based on the small craft advisory warning for Saturday morning, and with the full concurrence of the US Coast Guard, San Francisco Police Department, and the National Park Service, we have had to change the swim route from Alcatraz to a swim course of approximately one mile within the safe harbor of Aquatic Park. The forecast calls for wind speeds of 20-30 mph and gusts of 40 mph in the San Francisco Bay which would be highly unsafe for swimmers, kayakers and support boats. The safety of the swimmers and rescue personnel is our highest priority. It's always a disappointment when we can't produce the event in the way we intended and in the way that you've been training for, but producing and participating in open water swim events means we are at the mercy of Mother Nature. The updated race day itinerary for the new course inside Aquatic Park can be seen in THIS EMAIL that was sent to all registered participants. Every swimmer dreams of making the ultimate "ESCAPE" from the historical island prison located in the middle of the San Francisco Bay! This is the swim the Anglin Brothers and Frank Lee Morris successfully attempted in their escape from Alcatraz on the night of June 12, 1962. Who knows where they are now? Who cares?!! Now it's YOUR turn! The event is limited to 800 participants and sells out months in advance every year so don't wait too long to register! PLEASE NOTE: This swim is NOT for NOVICES. This event is for experienced open-water swimmers only. You should be able to swim one mile comfortably in a pool in under 40 minutes. INCENTIVES: T-Shirts for all participants. Medals for top three finishers in each age group. Personalized award plaques will also be mailed to the top three finishers in each age group. AGE GROUP BREAKDOWN: Male and Female: 5-6, 7-8, 9-10, 11-12, 13-14, 15-17, 18-24, 25-29, 30-34, 35-39, 40-44, 45-49, 50-54, 55-59, 60-64, 65-69, 70-74, 75-79, 80-84, 85-89, 90-94, 95-100! ENTRANT LETTER: An entrant letter with all the race day details will be emailed to all registered participants and posted online here 1-2 weeks prior to event day. Please check back for any updates and the full race day itinerary. PARKING: The best place for participants and spectators to park is Ft. Mason Center ($10/all day) located on Marina Blvd. across the street from the Safeway. Follow one of the footpaths through Ft. Mason and over the hill to Aquatic Park. CANCELLATIONS: Registrations are non-refundable. If you can no longer participate in this event, you may receive a rollover credit (minus a $35 processing fee) toward a future event as long as you let us know by May 9 2018. After that date, a doctor's note is required to receive a credit. What do I need to do on race day morning? You will check-in on race day morning in the Senior Center (first floor of the Maritime Museum at Aquatic Park). You will be required to show a photo ID to receive your timing chip & swim cap. You will also get your hands marked with your race number during check-in. What if I want to wear shoes or a sweatshirt while walking to or on the ferry? We strongly recommend that you simplify by wearing your wetsuit (and a pair of flip-flops if you don't want to walk barefoot) and carrying your swim cap and goggles to catch the ferry. If you want to wear shoes or a sweatshirt, please grab a plastic bag after you check-in at the gear bag table (just outside the Senior Center), mark it with your race number and bring it with you on the ferry. You may put your extra items in this bag during the ferry ride to the island and our volunteer crew will make sure these bags get back to the finish area. Will there be restrooms or changing facilities on race day morning? Port-a-potties will be set up at the end of the promenade near the Dolphin Rowing Club (if you're walking with the grandstands on your right, continue down the path and you'll find them). There will not be private changing facilities available. Can I use a snorkel? 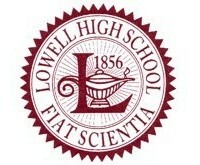 Yes, but they make you ineligible for awards. Can I wear a full body swim suit or skin suit? Yes you can wear a full body swim suit or skin suit, but if you do you will be placed in the "Wetsuit" category as it is still considered to be a swim aid to help you swim faster. The "Non-Wetsuit" category is for those who wear regular swim suits only. Can my friends and family ride out on the ferry with me? We charter ferries to accommodate event participants. Unfortunately, the ferries will not have room for your friends and family members. Besides, they might not get back in time to see you finish! I'm worried about the swim. The Alcatraz swim course may have a notorious reputation, but we can assure you that over the past 27 years, we've safely escorted more than 15,000 swimmers along this course. The biggest variable is the tides. Luckily, our race director, Dave Horning, has swum the course 75 times and knows the San Francisco Bay tides well. We specifically plan the date of our Alcatraz events around the tides. When the ferry drops you off on the east side of the island, and as you round the south end of the island when you start your swim, Aquatic Park (your target) is straight ahead. You will be given instructions race day morning on which buildings to spot off of during the swim. These instructions are based on a test swim conducted the day before during similar tidal conditions. Mind these instructions. If you aim directly for Aquatic Park, the tide will sweep you west past the entrance and a boat will have to pick you up. If you aim too far left, the worst that can happen is that you may have swum slightly farther (with the current behind you) until you reach the entrance. If you aim too far right, you'll end up west of the entrance, swimming in place against an unbeatable current and trying to get back. Use your common sense and practical judgment and you'll be fine! Any other advice on the swim? Swim gloves and booties are discouraged on this swim unless you have trained using them and are extremely comfortable swimming in them. They can sometimes fill with water and make it more difficult to swim. Neoprene swim hoods are allowed. Please wear the swim cap given to you over your swim hood. Another option is to bring an extra swim cap and wear it under your event swim cap which can help keep your head warmer. Hold on to your goggles as you jump from the ferry as they can sometimes easily pop off as you hit the water. Swim away from the boat immediately after entering the water to make way for the next participants. The faster everyone disembarks, the sooner the race can start. The start line will be marked by a row of kayakers. Swim up to the start line, but please don't hang on kayaks or crowd around them. You may swim around to warm up behind the start line, but keep in mind, everything starts rather quickly -- 6 to 8 minutes after we start disembarkation. The race starts at the sound of the ferry's horn. What if I panic during the swim? If you find when you start to swim that your heart is beating rapidly and your breathing feels out of control, this is perfectly normal. It's just the adrenaline rush of race day paired with the shock of the cold bay water. Use your own judgment on whether to continue, especially if you have any medical conditions, but most people find that if they continue to swim, they warm up, get their breathing back under control and are able to get back into a groove and finish the swim. You may backstroke, or swim with your head out of the water until your comfortable to swim freestyle again. If you feel that you cannot complete the swim or you need the assistance of a kayaker, stay put and put one arm straight up in the air. A kayaker will come to you and discuss your options. It is perfectly legal to grab the nose of a kayak and wait out a cramp, get your breathing under control, etc. Don't hesitate to take the measures you need to finish your swim. A smart athlete will know when it's not their day. You'll always be welcome to come back and try again. There's no shame in taking a rain check on this event.